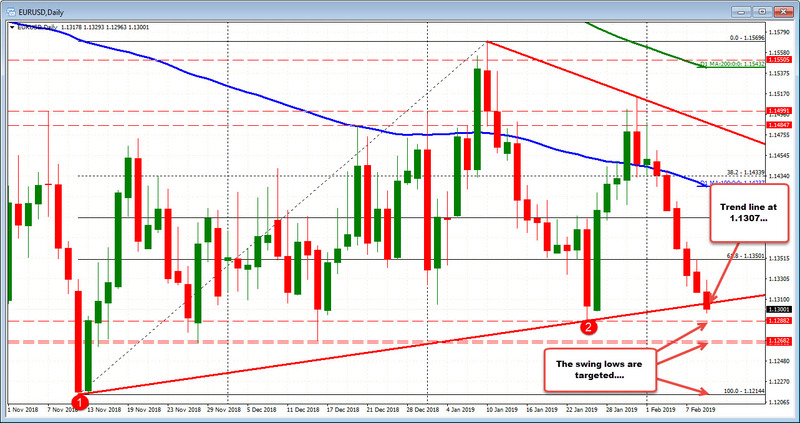 The EURUSD retested a topside trend line in the Asian session and held. Good news for the sellers. Stay below the trend line, keeps the trend down in place (makes sense). That trend line comes in at 1.1319 currently (and moving lower). We trade at 1.1308. On the downside, the 1.1305 was a swing low from Jan 24. The low today reached 1.1296 today so far. The low price from the same Jan 24 comes in at 1.12885. 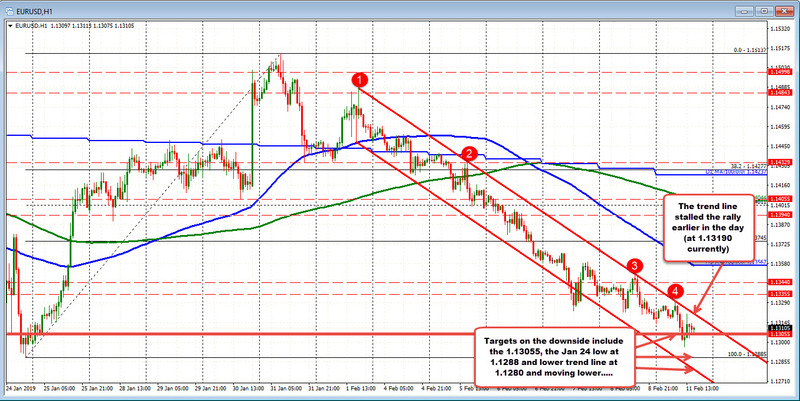 Move below those levels will look toward 1.12663 and 1.1268. Those were swing lows from November and December 2018 (see daily chart below). PSS. The pair is breaking lower now and tests the low for the year at 1.1288 (can't type fast enough as sellers push lower.